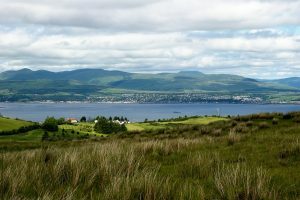 With All About Freight being a Same Day Courier Glasgow we like to expand our knowledge on areas we operate in and why certain areas thrive with industry. The river Clyde in Glasgow is an important factor in the rich heritage of Glasgow and its industrial areas, it has been vital for trade and helping industries to develop. Glasgow made the river wider and deeper to make it more accessible for larger vessels to collect and deliver from the port. 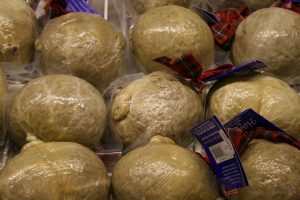 We all love our food and it is no different in Glasgow, the traditional Haggis is a well known Scottish meal eaten with ‘tatties’ an ‘neeps’, it is a delicious meal but many people are put off by the ingredients before they try it. We hear down south that it’s difficult to catch and once cornered the infamous Haggis is quite aggressive! Not something any of our Same Day Couriers want to transport around! If you do fancy trying something new take a look at this award winning butchers. https://www.mccaskiebutcher.co.uk/ who are renowned for their traditional and not so traditional wares. I’m sure we could deliver some for you! Another of Glasgow’s favourite meals is a ‘Munchie Box’ it is a box full of a variety of fast food, typically includes kebab meat, fried chicken, pizza, chicken tikka, coleslaw, chips and many other fast food delights! We think this might just be a little stereotypical and have enjoyed some more upmarket meals in the city centre. I’m sure some of Same Day Couriers in Glasgow could be tempted to pick up a Munchie Box on their way past! The Duke of Wellington statue is an A listed monument located on Royal Exchange Square in Glasgow. It is located just outside the Gallery of Modern Art which is rather ironic due to its rather modern addition . 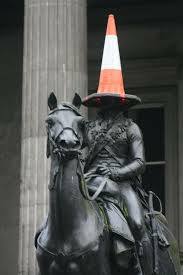 The locals started “capping” the statue with traffic cones on the Duke of Wellingtons head back in the 1980’s,the “capping” is claimed to represent the Glaswegian humour and has carried on as a tradition ever since… a bit like our humour in the All About Freight office! Although the locals find it funny the council have seen it as a safety risk to the public trying to climb the statue to put the cone on top of the Duke of Wellingtons head and the practice has been discouraged by both council and Strathclyde police. We wonder whether if the Duke would see this as his PPE whilst riding his horse, all of our Same Day Couriers in Glasgow carry the right PPE at all times ensuring health and safety rules are always followed. The Glasgow School of Art construction was started to be built in 1897 and was designed by Charles Rennie Mckintosh, an architect with a fast growing reputation. The Glasgow Art of School is famous for its success of architects, designers and artists. Unfortunately the Rennie Mckintosh building was damaged by a fire in 2014 by a canister of expanding foam exploding somewhere in the basement. The building was not compliant with the latest fire safety regulations and the fire spread quickly around the building destroying large parts of the historic building. 4 years later disaster struck again and another fire broke out in the Rennie Mckintosh building, this time most of the inner building was destroyed, there are still debates on if it is salvageable but it at his point in time it is looking unlikely. The fire service are unsure how the second fire started. If your in need of an update to your fire and alarm system we recommend APM Fire & Alarm https://bit.ly/2I5eVXB. 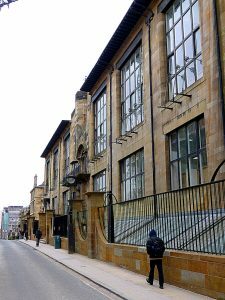 There are many more buildings that make up the Glasgow School of art so fear not the school is still up and running, if you fancy a career in Art & Design or as an Architect then follow this link to see what the school offers http://www.gsa.ac.uk/ . Did you know we can transport fine art across the country via our Same Day Courier drivers, depending on the size of the artwork we can organise any sized vehicle from small same day vans through to Luton Tail Lift vehicles. All of our vehicles are fully insured and will handle your artwork with kid gloves. It’s not new news to hear about the rivalry between Rangers and Celtic football teams the rivalry goes back many years and stems from religious and cultural differences rather than anything to do with what happens on the pitch. The “Old Firm” matches are eagerly awaited every season by both sets of passionate fans . After the recent financial indiscretions of the Rangers Football club there has been until this season a cessation of the rivalry in the league due to the demotion of the club. Posted in Glasgow and tagged with Collection Courier Dedicated Delivery Duke Of Wellington Football Glasgow Glasgow School Of Art River Clyde Royal Exchange Square Same Day Courier SameDay Courier Urgent Van Delivery .